Bank, boat and float tube fishing. Approach and selection of productive water. Learning a trout’s behavior in stillwaters: influence of the wind, currents, water sources, bottom structure and immerged obstacles and structures. 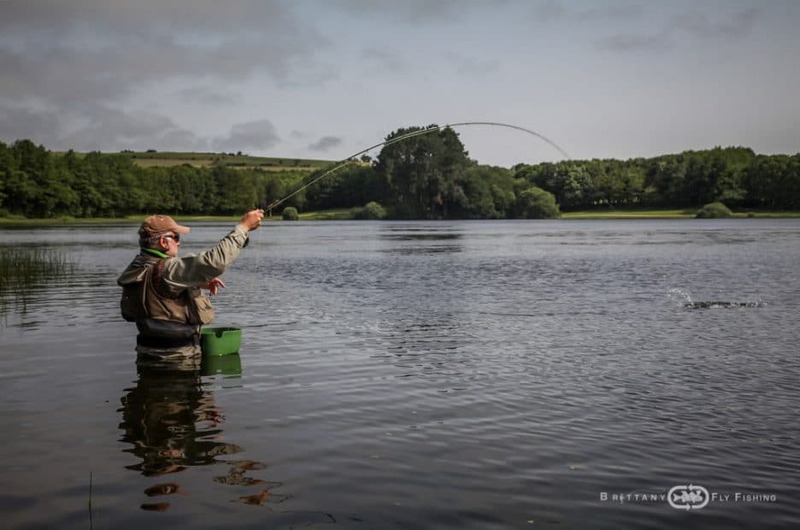 Fly casting (windy conditions, casting for distance, line selection): hauling techniques, back cast presentations. Fly line selection to maximize success of fly presentation (floating lines, intermediate lines, hover lines, sinking lines) cording to fly selection. 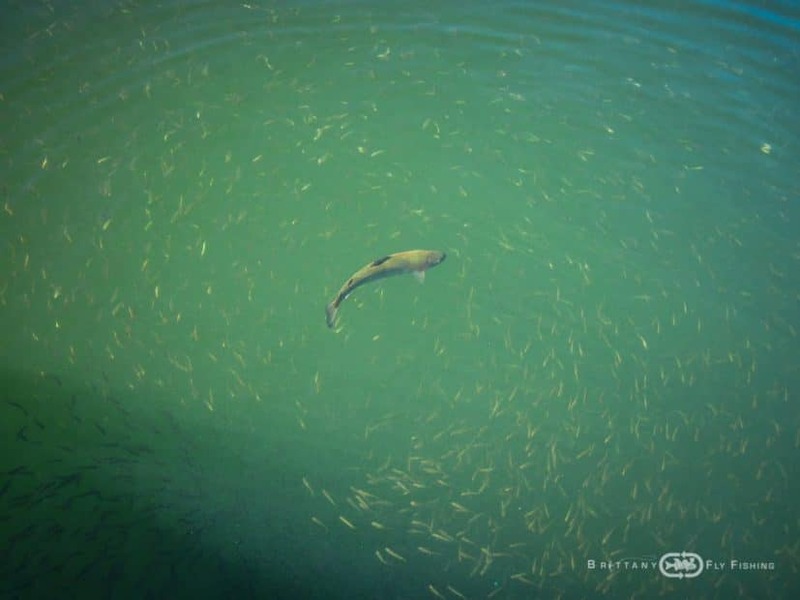 Fishing strategies, fly selection : imitations and lures. Leader construction specific to stillwater angling, droppers, etc. Fly line presentations, presenting a team of flies. Retrieves: figure of eight, pulling, roly-poly, static fishing, drift fishing, induced take, etc. Fighting the fish, ethical treatment of fish, proper release techniques, dispatching a fish. Wade and boat fishing (Irish Sheelin boat with Minn Kota EO 1 HP trolling motor). 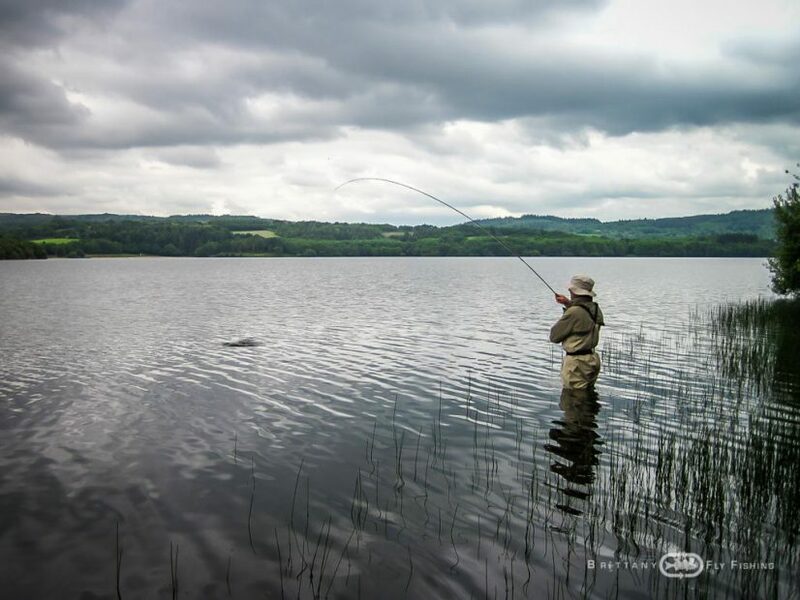 Loch-style drift fishing: wet fly, nymph, dry fly and streamer techniques. 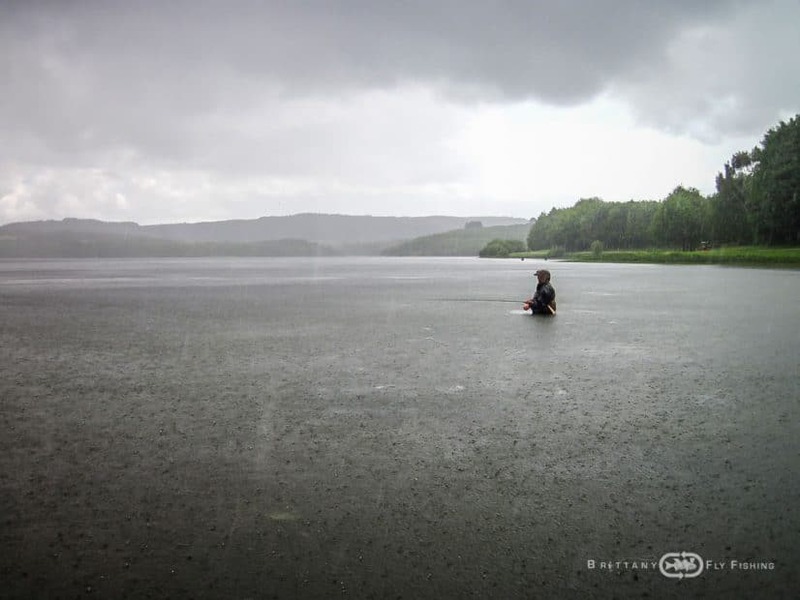 Tuition and guided fishing (duration 10h), lunch pick-nick with regional organic products. 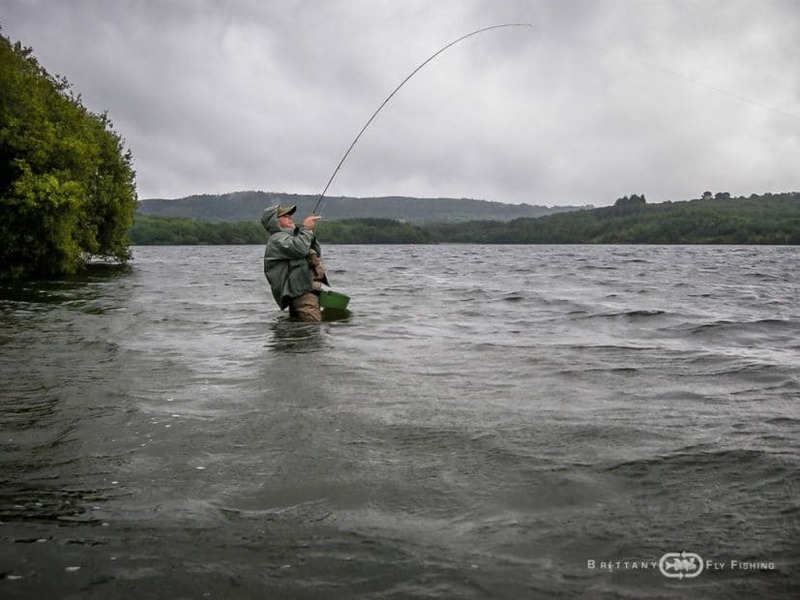 Quality tackle for hire (rods, reels, lines, leaders, flies, shooting baskets, etc…). Not included: fishing licenses 12€/day (please provide your address and birth information), lodging. Hours: 9h-19h (variable, according to prevailing daylight and weather conditions). Bank fishing: 220€/day (rates subject to discount for groups of 2 or 3 anglers). See Rates. 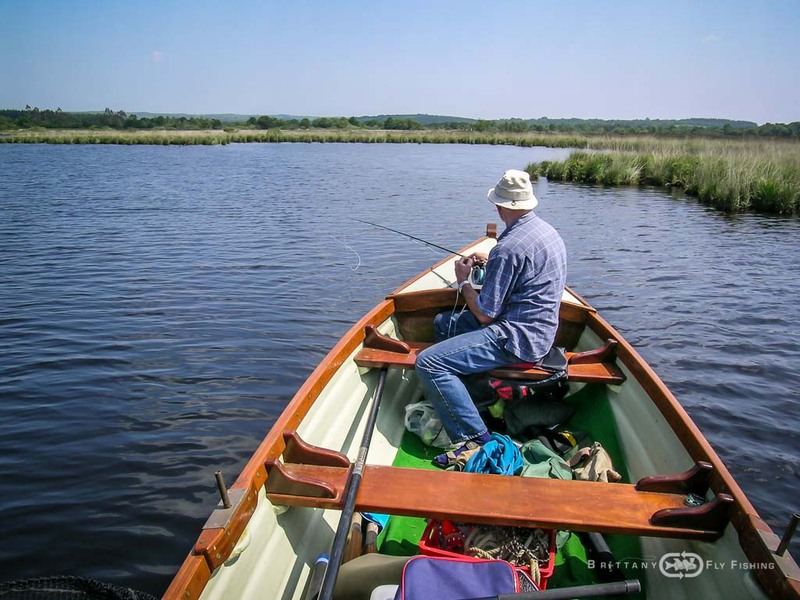 Boat fishing (Irish drift boat): 250€/day (rates subject to discount for 2 anglers). See Rates. 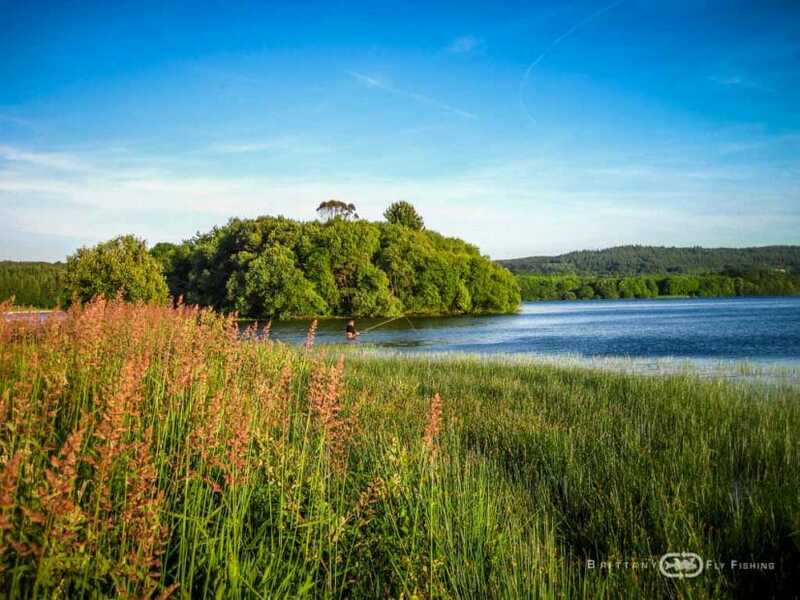 Located in the heart of the Monts d’Arrée Mountains, Drennec Lake surprises nature lovers by its beauty. 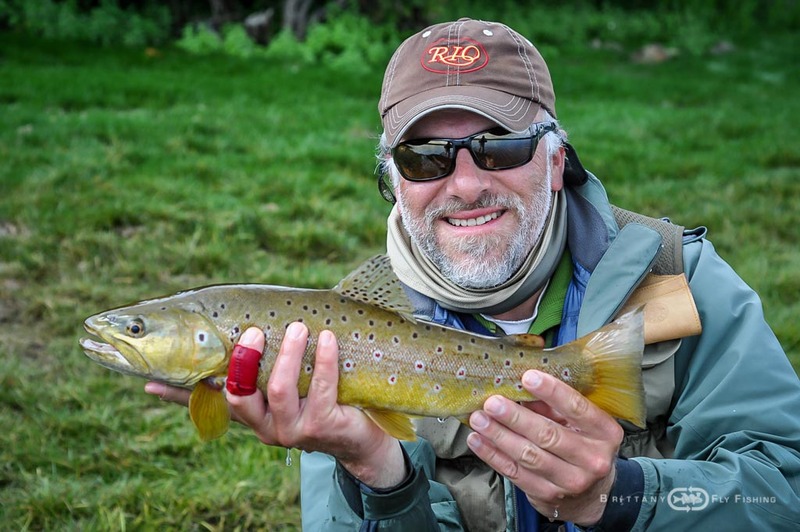 Come and discover its fly fishing splendor and its authenticity. 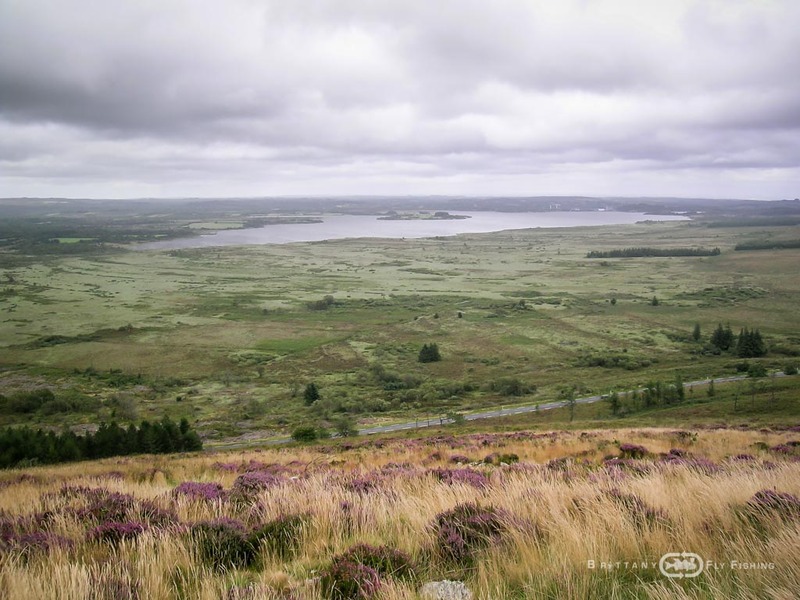 It’s a manmade lake with some 8.7 million m3 and with a surface area of 110 hectares fed by a watershed of humid high moor, providing pure waters all season long. Belonging to the communities of Sizun and Commana, this water is rated “1ère categorie” – category 1, meaning it is trout water with special regulations. 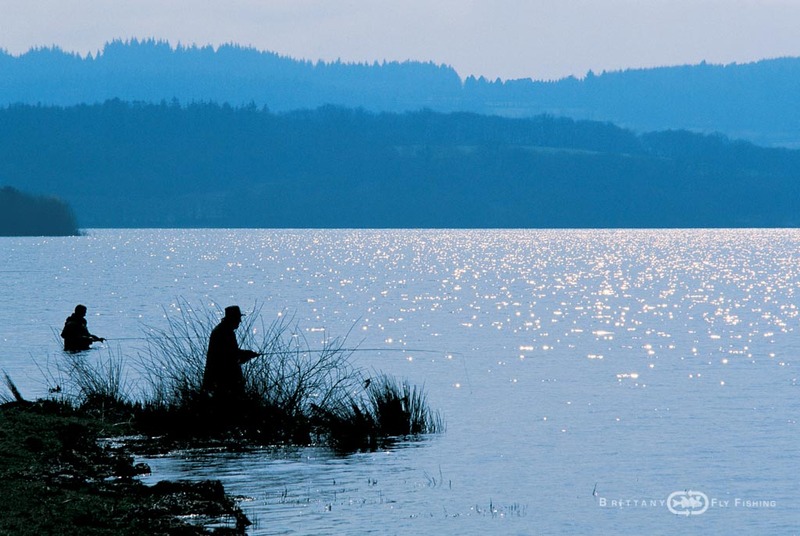 It is considered the largest trout reservoir in France. Its watershed consists of 2 streams, the Mougau and the Elorn feeding into the lake. As of March 2014, this body of water has been classified “ Grand Lac Intérieur ” – Great Inland Lake, and is therefore subject to special regulations. 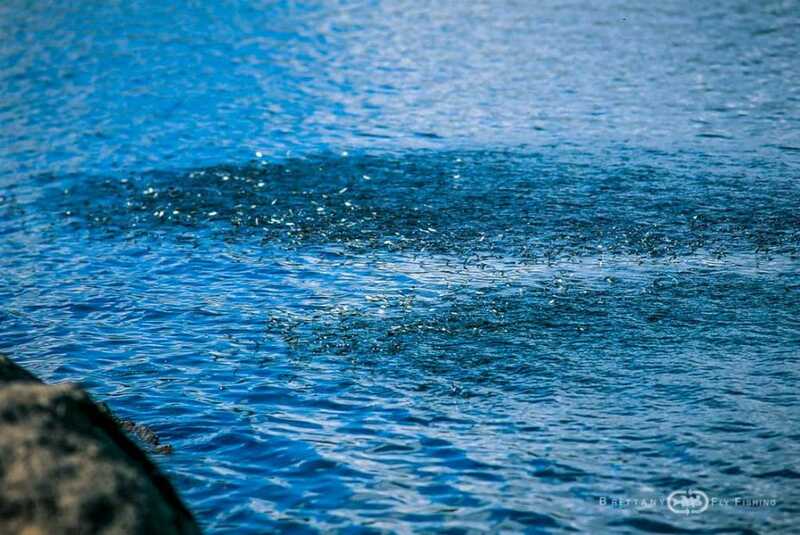 Fish management is done by the AAPPMA de l’Elorn (Fishing Club), funding the introduction of rainbow trout. 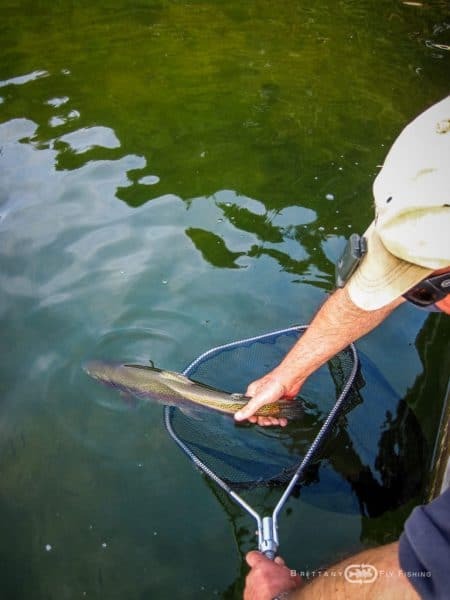 The Elorn Fishing Club is monitoring the stocks of brown trout by catching spawners (by means of a seasonal fish trap installed on the lower Mougau, right above the lake) and using them in hatcheries to hatch trout fry (right near the dam). They also maintain and manage fish stocks in the lake’s two tributaries, the Mougau and the upper Elorn. Fishing is only open to all anglers carrying a license issued by the Elorn Fishing Club, without paying any supplement. Boat fishing is open all season again, with limitations aimed at protecting the wild brown trout population of the lake. 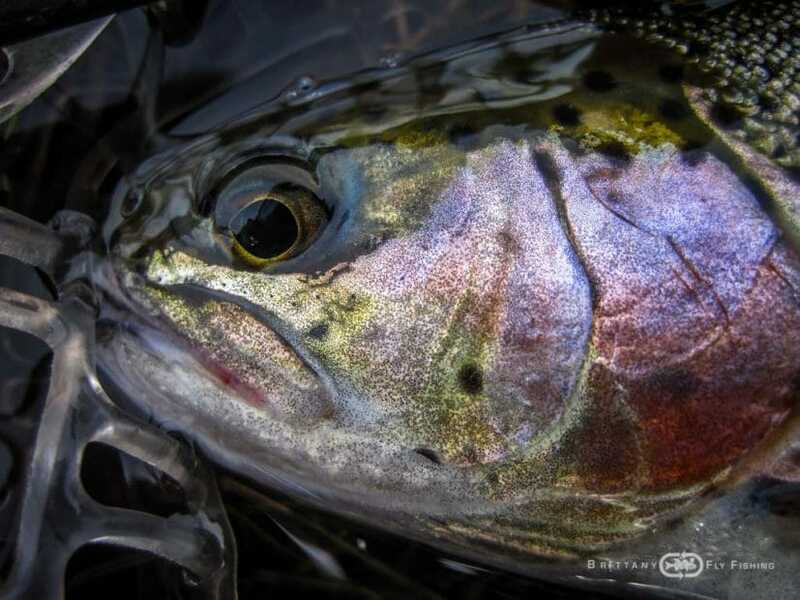 From opening day (in 1st category) to the end of the season, March 9 to October 31, 2019, fishing from boats is with fly tackle only (flies must be with single hooks). 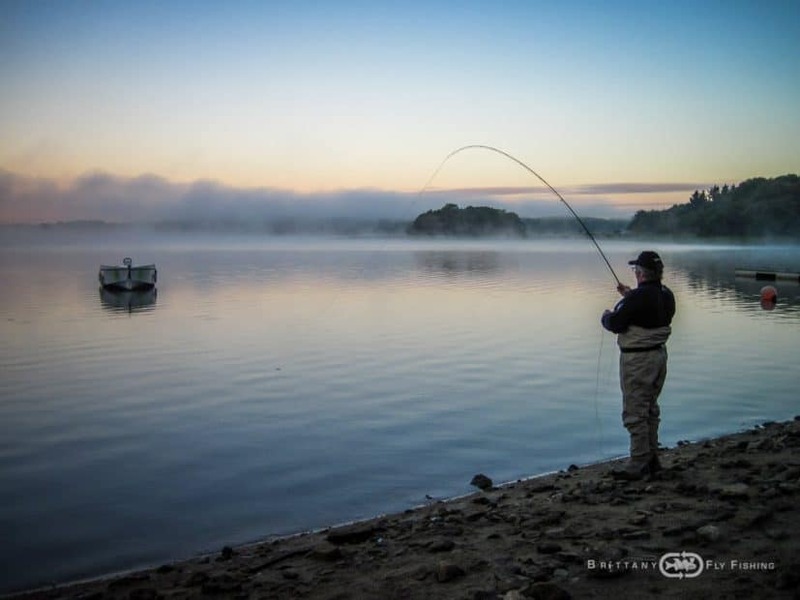 From the bank, outside the specific fly fishing stretch (of about one kilometer with exclusive access for fly anglers – the northern bay named “Bois de Pins”) all legal angling methods are allowed, with exception of trout dough baits of “Power Bait” fame, live and dead bait. 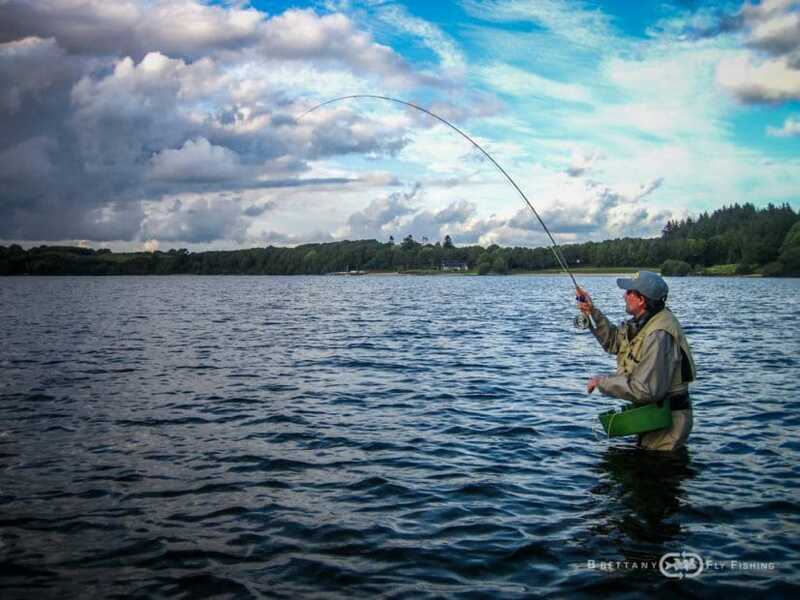 As of September 16th, only classic fly fishing is allowed on the entire body of water, bank or boat. 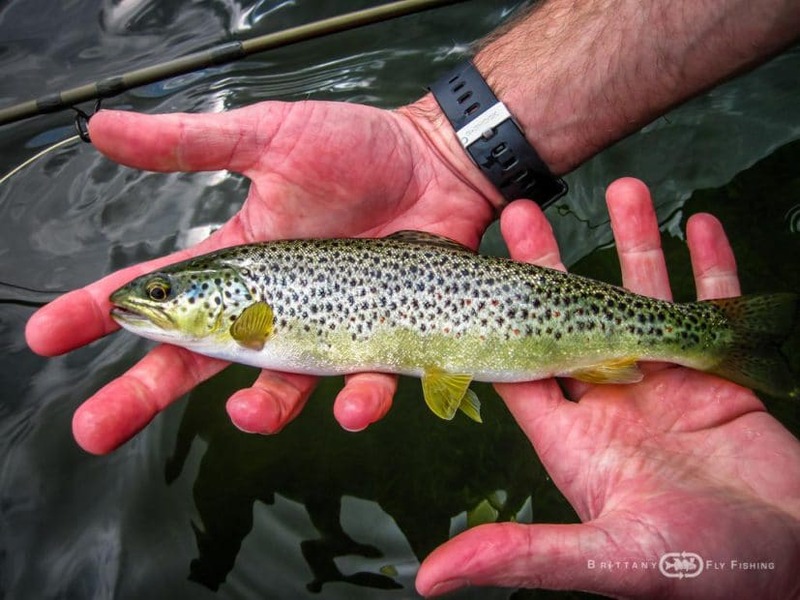 Fishing for brown trout is open late October, but all fish MUST be released! 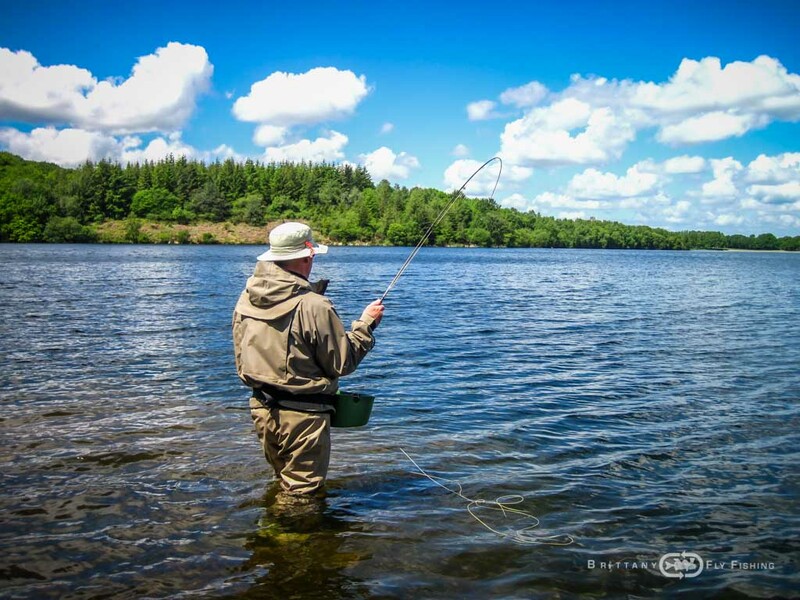 Drennec Lake is without doubt among the finest trout lakes in France. 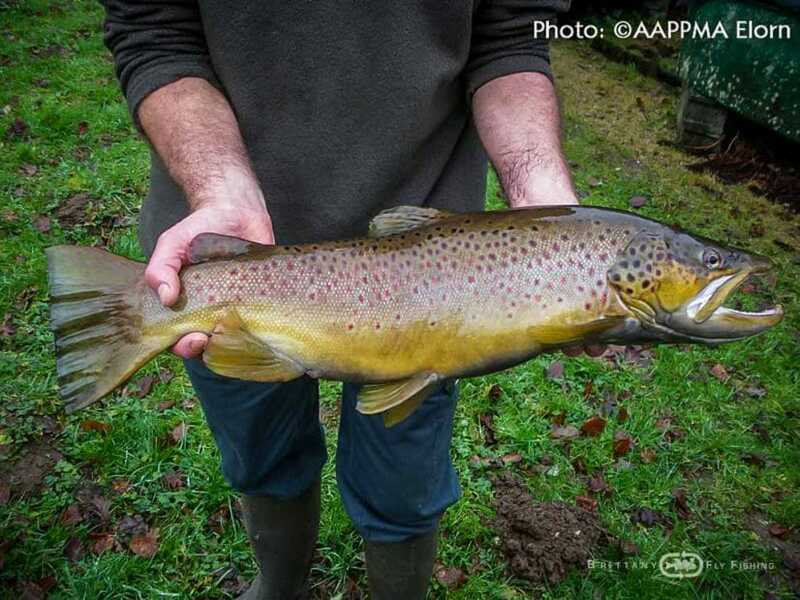 Brown trout can grow to impressive sizes (record fish caught in 2011: 5,2 kg, 11 lbs) and the numbers of fish seem to increase constantly. 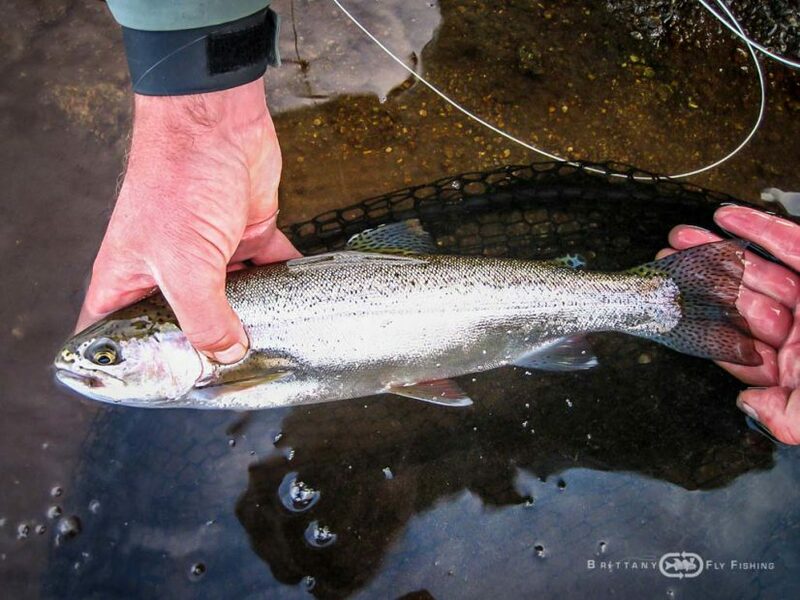 The stock of rainbow trout is also going up as there have been millions of fry released since 2010 that can grow naturally into superb sport fish. 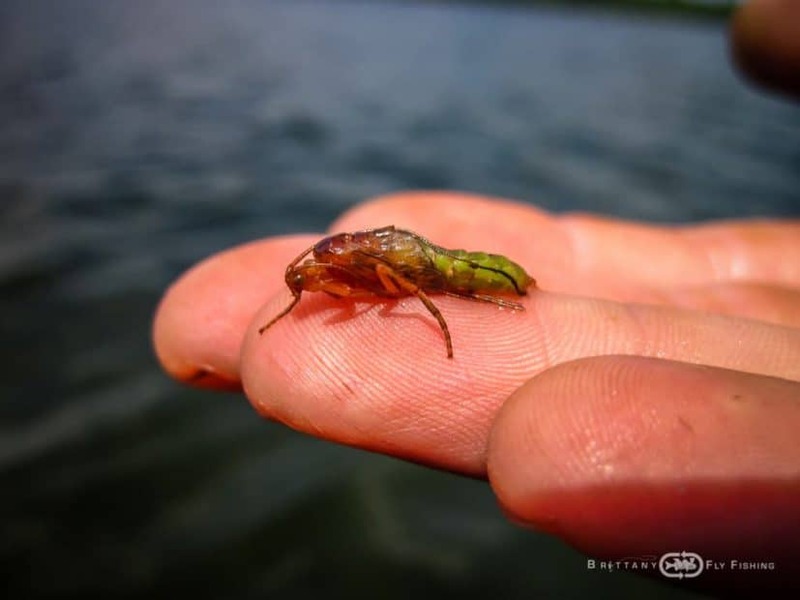 Growth rates are high on Drennec Lake, this confirms its biogenous capacity. 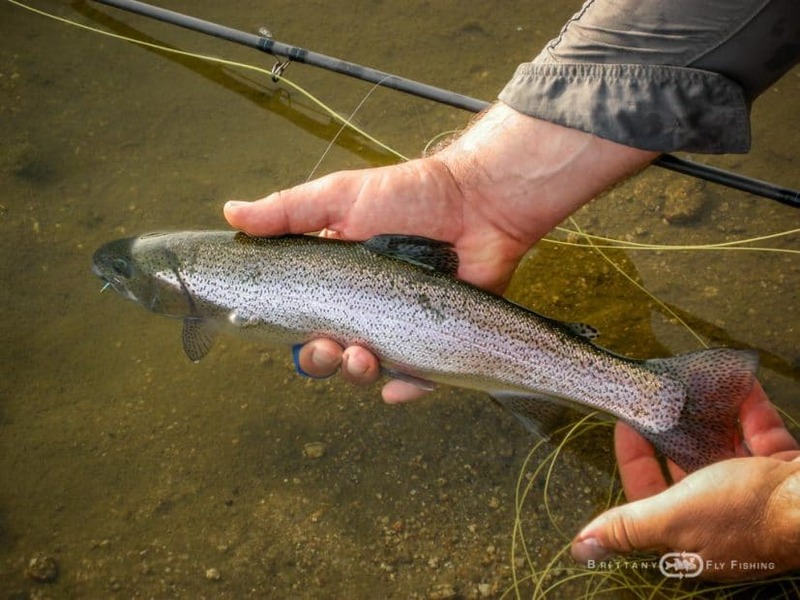 Just like the brown trout, the rainbows are quite eager surface feeders, so dry fly fishing can be quite fulfilling at times. Saint-Michel Lake (450 ha), Monts d’Arrée. Rainbow trout (large fish up to 3-4 kg / 8-9 lbs). 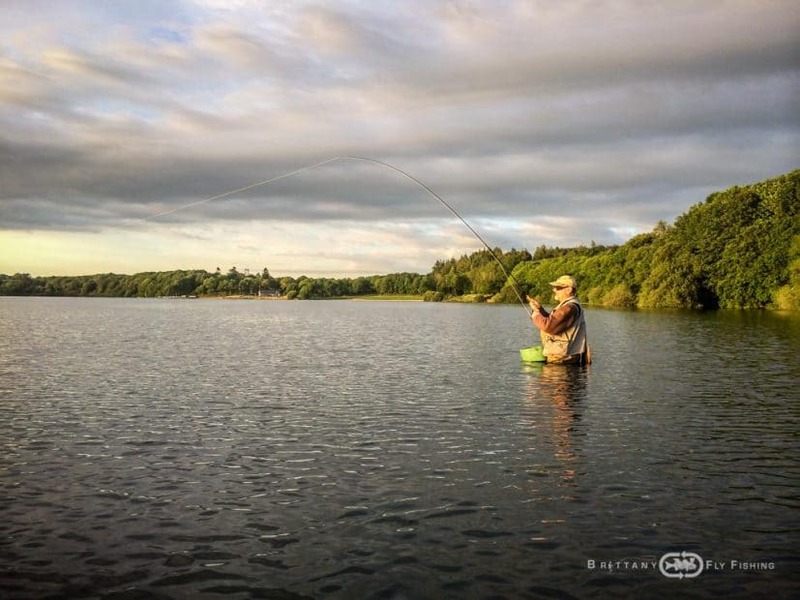 Boat fishing (19-foot Irish Sheelin Boat with EO 1 HP Minn Kota trolling motor or in float-tubes (waders + fins + booties/socks + life vests for hire). 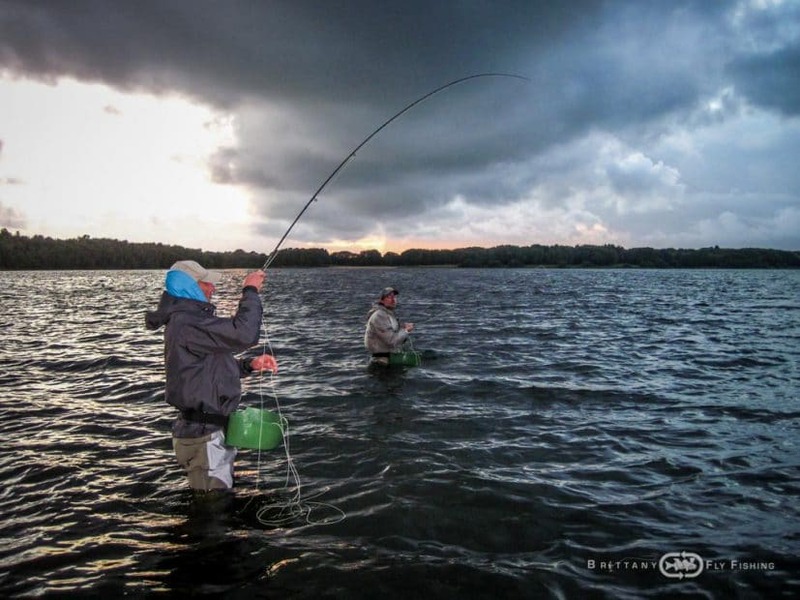 Professional gear: boat seats, parachute drogue (drift socks), specific flies and equipment.